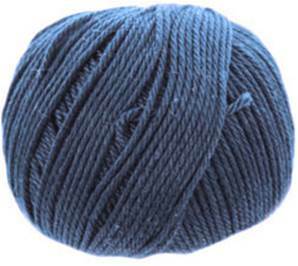 Sublime Egyptian cotton DK knitting yarn, 331, navy. Exceptionally soft and smooth pure cotton yarn, machine washable, knits to a standard DK tension. 50g/ 105m per ball.